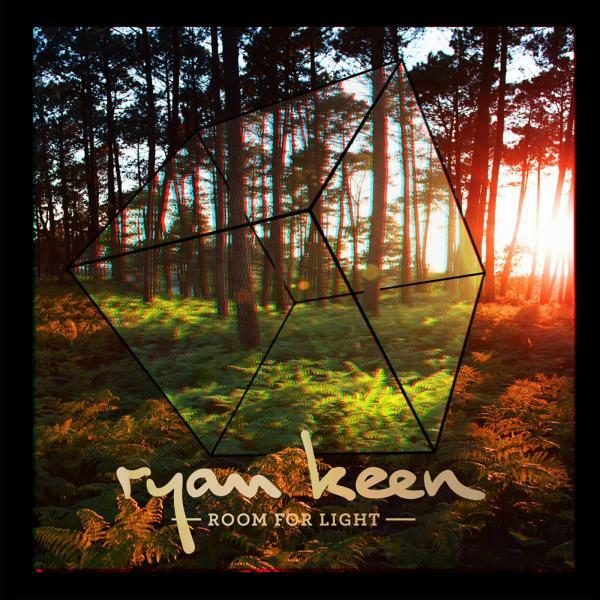 It’s been around 18 months since I bought Ryan Keen’s ‘Focus’ EP on iTunes and since then he’s released another successful EP, played the iTunes Festival (amongst many others), appeared on SBTV, played around 250 gigs and pretty much established himself as one of the most promising up and coming singer/songwriters in British music. Not bad, right? Now he’s ready to make good on that experience and potential with the release of his self-funded debut album ‘Room For Light’, which can (and should) lead him onto even bigger and better things. It would be all too easy to throw Ryan Keen in with all the other singer/songwriters currently releasing music, but to do so would be an injustice. ‘Room For Light’ offers something different, something more, in the best kind of way because there’s a very natural feel to the album that shines in every second of its twelve song length. It could be described as minimalistic, for the most part being just a man and his guitar, with these more delicate moments being where the album really excels like on the more stripped back songs like ‘Orelia’. This back to basics and more relaxed approach to song writing works brilliantly, with the production and instrumentation of the album never detracting from the soul and spine that drives it. Producer Patrick Wood does a great job of really conveying the heart in each of these songs without being overpowering when doing so. It also allows Keen to really sell himself musically, free from any gimmicks. ‘Room For Light’ has a very genuine feel to it, and it’s impossible not to warm to it. Keen’s voice contributes to this massively being gentle and pleasant. He doesn’t compare vocally to artists like Ben Howard but his simple and comforting delivery really suits the albums more relaxed tone, and it all comes together sublimely. ‘Room For Light’ is honest and powerful in its approach, with Keen laying himself bare, covering love, life and reflection. I praised the new Foy Vance album for similar reasons a few weeks ago, and this heartfelt honesty is the best quality of more acoustic-based albums, and Keen has it in spades. ‘All The Time’ is one of the more personal songs about relationships carried by a haunting electric guitar, whilst ‘Trouble’ displays a more energetic and somewhat boisterous side to Keen’s music. My favourite song ‘Old Scars’ is probably the most charming, being uplifting in its delivery despite its subject matter. Fan favourite ‘Aiming For The Sun’ features as well, still being as good as ever, with closer ‘When The Day Breaks’ ending the album on a positive note, capping off an excellent and inspiring release. I remember seeing Keen’s A64 for SBTV in which he played ‘Orelia’ on the London Eye. One of the most memorable aspects of that performance was his exceptional ability when it comes to playing the guitar. It’s a stunning talent displayed frequently on ‘Room For Light’ and it’s even more noticeable as a result of the production. You hear every subtle movement and lick in relation to the guitar work, and it’s hard not to be both impressed and envious in equal measure. The way Keen strings together melodies, plays with speed and complements his vocals adds another dimension to his music that a lot of acoustic musicians overlook. Ultimately, there’s a good variety in terms of tempo and styles to please fans and keep the album fresh and textured. I should mention that the album contains a lot of material from past releases, seven tracks to be precise, which is a nice throwback for older fans who’ve been with him from the start, but it also only leaves five tracks of new material. For a debut full length of this quality it’s easy to overlook, but some fans may have expected more. There’s a lot to admire and take from ‘Room For Light’ but there’s also room to grow. It is better than the majority of releases the genre has seen in 2013, but as expected of a debut there are areas that need work, and no doubt Keen will do so on future releases. At the end of the day, he preaches optimism, both inside and outside of his music and there are a hell of a lot of positives to take from ‘Room For Light’ that massively overshadow its very few drawbacks. Previous Post Thoughts: Are Music Albums Starting To Contain Fewer Tracks?